Will There Be Social Security Benefits for Millennials? 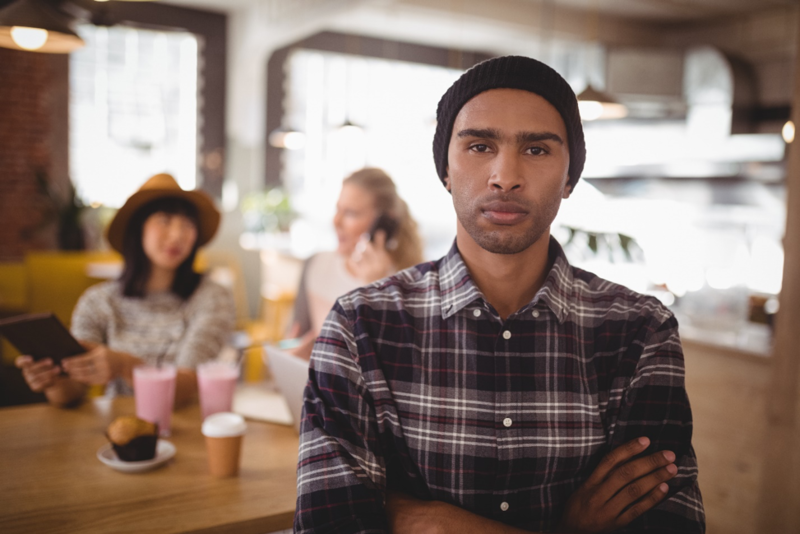 If the financial debates on television and the web have you wondering whether there will still be Social Security benefits for Millennials, you are right to be concerned. Financial experts warn that Social Security is expected to deplete its reserves by 2035 unless Congress takes action. 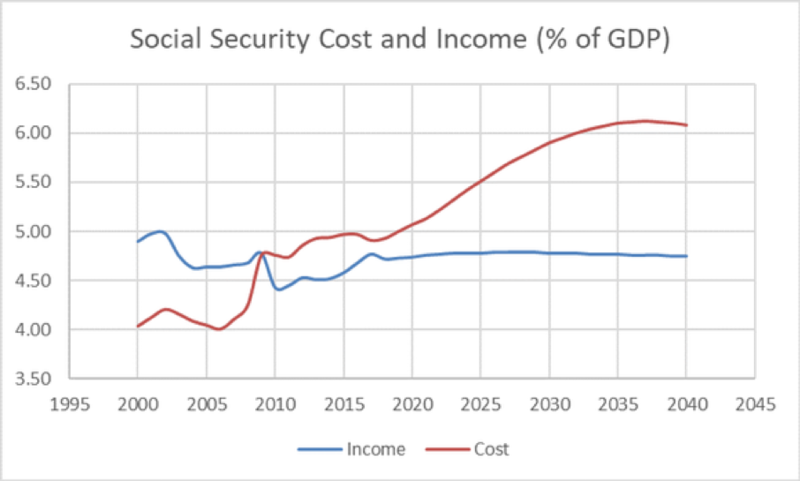 That doesn’t mean that Social Security benefits will disappear, but the social safety net is going to face some significant financial challenges in coming years. To help you understand what that means for Millennials as they reach retirement age, here are answers to some of the common questions about what to expect from Social Security benefits in the next 30 to 40 years. Will Millennials get Social Security? Payroll taxes will continue to fund the social safety net, so the real question isn’t “Will Millennials get Social Security,” it is “How much Social Security will Millennials get?” The program is expected to only be able to pay 75% of current Social Security benefits by the time that Millennials start to retire. That means that the average monthly payment could decrease from $2,544 to $1,908. If you assume an annual 7% cost of living adjustment, over 20 years of retirement, that’s a difference of more than $185,000. Why will Social Security deplete its reserves? Social Security currently has an incredible surplus of $2.85 trillion in reserves. As the Boomer generation retires over the next decade, the number of Social Security beneficiaries will greatly increase while the workforce paying into Social Security will decrease. Lifespans have increased over past generations, so retirees are collecting benefits for more years than in past generations. Simply put, Social Security costs are rising while the income from payroll taxes is going to be decreasing. Social Security is expected to operate with an overall surplus until 2022, when the Social Security Administration estimates that the annual cost of the program will have grown higher than the income. This inequality is expected to use up Social Security reserves so they are completely depleted by 2034. Will Social Security be around in 40 years? Financial experts agree that the answer to “Will Social Security be around in 40 years,” is yes, but the program may be significantly different. One change is that the percentage of income that it replaces is likely to be even lower than what retirees receive now. Data compiled by the Center for Retirement Research indicates the replacement rate for an average 65-year old retiring in 2035 is expected to be just 36%, compared to the 39% that retirees received in 2015. That’s a major problem, because Gallup’s 2017 Economy and Personal Finance survey revealed that 25% of Millennials plan to rely on Social Security for the majority of their retirement income. 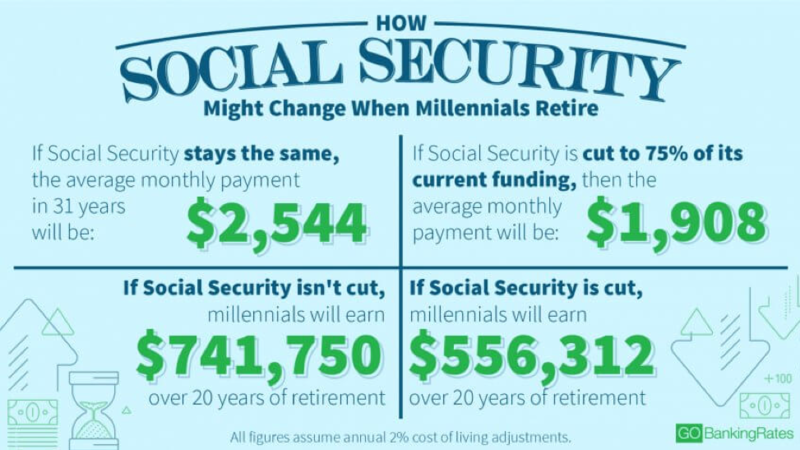 The changes to Social Security benefits means that amount of Social Security that Millennial retirees are expected to get will be so close to the poverty line that they likely will not be able to pay for all the basic costs of living. How can Millennials prepare for the changes in Social Security? The best way for Millennials to prepare for the changes in Social Security is to commit to saving for retirement now, and follow through with that commitment throughout your career. Knowing when to retire and how much you need to save for retirement is a key step. Fortunately, many Millennials are already on the right track. Ramsey Solutions’ 2016 survey of Millennials found that 4 in 10 Millennials know how old they will be when they retire and 38% know how much money they will need to retire comfortably. 58% of Millennials have already begun saving for retirement, compared with just 55% of Boomers, although that demographic is much closer to retirement age. If you are a Millennial who would like to start saving for retirement, reach out to financial advisor Matt Logan at www.MattLoganInc.com or call at 336-540-9700. We will help you set savings and investment goals, and develop an achievable plan that will enable you to start saving now to enjoy a comfortable retirement. The information being provided is strictly as a courtesy. When you link to any of the websites provided here, you are leaving this website. We make no representation as to the completeness or accuracy of information provided at these websites. Nor is the company liable for any direct or indirect technical or system issues or any consequences arising out of your access to or your use of third-party technologies, websites, information or programs made available through this website. When you access one of these websites, you are leaving our website and assume total responsibility and risk for your use of the websites to which you are linking.